We want to help web designers be productive, and that means making sure that the Divi Builder is performing at the top of its class. One of our biggest goals while building Divi has been to help web designers be productive and improve efficiency in their workflows. That means empowering you to build beautiful websites, and empowering you to build them quickly. To accomplish this we have created a tool that is both robust and easy to use, filled with all of the customization options a designer would need and presented in a way that is intuitive, but at the foundation of all those things is the speed of the application itself, and today’s update is all about making the Visual Builder faster. The Visual Builder’s speed has been greatly improved, reducing re-render times and lessening feelings of lag when making design changes to your page. We have greatly optimized the Visual Builder to improve performance when making changes to your page. To put it simply, when you customize the design of your page, those design changes will now appear much faster than before, reducing feelings of lag or glitchiness and making the Visual editing experience a whole lot more enjoyable. Each button click feel snappy and responsive, adjusting range sliders feels smooth and graceful, and exploring the color picker is just plain lovely. These performance improvements will be especially noticeable on older computers, which means the Visual Builder is becoming a lot more accessible to everyone. If you tried the Visual Builder in the past, but were discouraged by feelings of slowness, go ahead and update to the latest version and try again, because I think you will be surprised by just how fast and responsive the builder has become! The foundation of the Visual Builder has been upgraded to the latest version of React, bringing inherent performance improvements and better tools to the Visual Builder. The better, faster Visual Builder powered by React 16 is available today, so download Divi and take it for a spin. Let us know what you think in the comments and don’t forget to check back next week for even more great Divi updates coming your way. But again ADA compliance go in affect next year and as far as I can see they haven’t updated to be compliant yet. When will that upgrade happen so I can actually use this theme without getting my client fined. What type of compliance additions are you suggesting? We have a FREE DIVI plugin that deals with ADA compliance. Yes, please share that! We need it! This is the link to the plugin. Wonderfull! I will implement it on all my sites. Never knew it existed. Share the link its the number 1 reason I stopped is it section 508 or WCAG 2.0 AA. Thanks for sharing, this is something i wondered about lately as well since we had a guest speaker at one of our monthly meetups discuss this same exact topic, it really should be something that is implemented right at the core of Divi and not as an after though with a plugin. I am currently working through an ADA lawsuit with one of my client’s sites. Utilizing the WAVE Chrome plugin I am not having any issue besides the search icon. What issues are you having with Divi? Actually the plugin mentioned below (https://wordpress.org/plugins/accessible-divi/) is the reason why I chose Divi over other site building tools. Love This. Getting perfect and perfect. Also, can you review all old modules to be sure they conform with new features? Just added my note to that ticket, because the gallery module also has a slide in from the left that can’t be disabled. Excellent. Has the builder been updated in Extra as well? Yeah, Divi, Extra and the Divi Builder plugin have all been updated. Nick am I missing something? Did I go blind? I have a site in Extra since a year or so and I have not seen so far the visual builder option available for this theme. Is there a setting I might have missed? Hey Nick when are we going to get the option to edit the footer credits in Extra? Hi Nick, looks like a great new update. The only thing is i’m scared to update my Extra theme as everytime i update it there’s always a new bug somewhere! I stopped updating my theme for a while for this reason, then decided to update it to latest version recently. Everything seemed fine and i was really happy, then i saw my website in tablet view and all the margins i had previously set on things had changed! My site looked different from how it was before after updating the theme! Marty, sorry for the trouble. If you could, open a ticket in our forum and our support team will be happy to take a closer look at this issue you are experiencing. Your ears must have been burning; we were just cursing the slowness of the Divi Builder! Thanks for the continued support of Divi. Awesome! When will this update show up in my dashboard? Eric, it should be available already. Try checking under Dashboard > Updates. Ha i got excited that page speed will be improved. i guess It just visual builder speed while building pages is improve. Is it just me or does the Divi Builder plugin not give notifications via the WordPress Dashboard when there’s an update? I never get notified on WordPress when there’s a Divi Builder plugin update. I think you have to install their update plugin. Try searching for it. 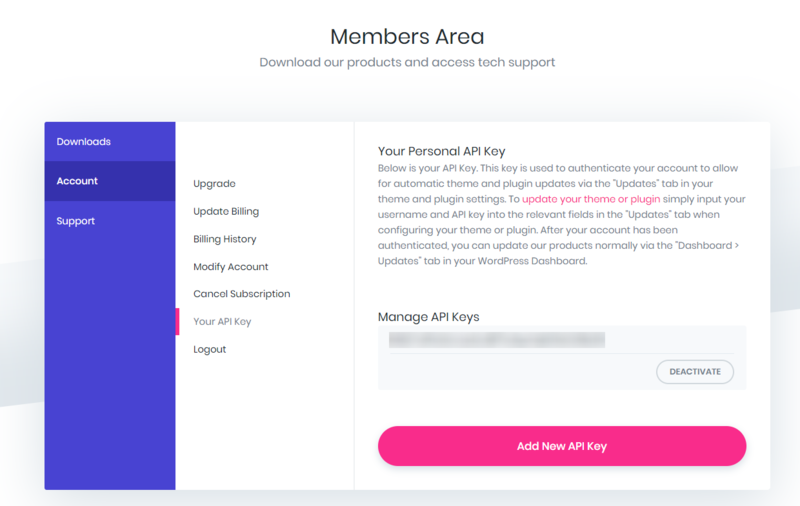 The update plugin is in your member dashboard. It’s not just you. I have a ticket open about this just for a whole year. They are aware of the problem but they don’t give it a high priority because there is a workaround (the updater plugin). But I think the issue has recently been fixed, because I do get this update right away on a site running Divi v3.0.91 without the updater plugin. WOW! Totally love what’s going on here. I don’t feel like a customer but like a part of a movement. AWESOME! You’re crazy, but I love you guys! Thanks for the update and have a nice weekend. I say header and footer get addressed for DIVI 3.2. Still A must. Overall, need to focus more on the basics and less on “special effects”. Having said that, this improvement is core and not frivolous. Lobely, I never feel slow, and you are telling its more faster, waiting to see. Fantastic! 🙂 So thrilled to see this update on the visual builder. I would like to know if you can also make an update on the image module so we can put visible captions with links. Great work Elegant themes team! Awesome as always! When are we going to get the option to edit the footer credits in Extra? I wanted to take a second to let you guys know how much appreciation a lot of us have for your hard work. Sometimes it feels like we live in a world where people just want to take take take. I would like to also say that I admire the way you’re updating, fixing and adding to your product constantly instead of trying to sell your customers a version 2 followed by a version 3 and so on and so on (ahem…Monster). It really does say A LOT about you guys. So for that… THANK YOU FOR ALL YOU DO! Ive been a lifetime member of Divi for what seems like a loooooong time now and although I have used it for several clients, my personal website runs on a different theme, this is set to change in 2018. You guys are beyond awesome and your dedication to the Divi product is admirable. So this is a great update and we have seen plenty of really great stuff from you guys this year. However, I would love to see updates to woocommerce options like more options for structuring and category pages and product grid layouts as well for a start. It feels like you guys havent done anything for e-commerce in ages. Also it would be nice to see some more navigation menu options. The guys over at theme fusion have done some really nice stuff with regard to both these areas, but Divi is just a better theme. Please take this on board and keep up the great work. Great! Finally some performance updates 🙂 Now on to responsive images and making the blog module support CPTs (please). I can feel the speed, Nice work Eleganttheme Team! Yahoo. Getting the DIVI lifetime subscription was the best thing our agency could be done. Thank you DIVI team. I have 2 months only with yearly membership and I’ve seen how hard you work with Divi…awesome !! Thanks for that. BTW, please take a little (or enough) time to work over blog module and footer options. Does this update fix the issues that make elements not appear on Facebook and IG’s browser? Yes that bug has been fixed in this version. Keep going! I’m a longtime subscriber and I appreciate your consistent and ongoing commitment to improving your products. Performance enhancement refers to the Visual Builder which my understanding is the Front End version of Divi Builder. Does it also apply to the using Divi Builder in the dashboard? Great update – I don’t use visual builder very often, but I teach my clients to. That is always the danger if you are handing over to an end user. Different if you are administering everything yourself. I love the work of Divi! I am working in Zambia, Africa and would also like to teach my beneficaries how to maintain their sites with the Divi builder. Really think this could make it easy for them. But I would like to see some kind of teaching material like a manual or a video. What do you use to tech your customers? Divi is getting Better everyday. Thanks to Nick and ET team! Awesome stuff. Great job everyone. I’m very happy to be part of Divi community. Will this update also improve my google speed test? This is really important for me – my computer is fast but sometimes the slowness and lag can be frustrating, especially with 10+ seconds to load the visual builder. I’m glad that’s going to be much faster now! You guys really support your community, I bought the lifetime membership last year and it’s been a great investment in my websites. Thanks! This release has broken the SVG support in blurb modules (and presumably images) again. SVGs that would show in the old release have now disappeared. Please adress ASAP. When you guys are going to introduce shape dividers like elementor. This is the one thing i am waiting for. … I’m waiting for a more flexible handling of column management e.g. variable column size/spacing. Great work Nick and Team. Super stoked to give this new improve version a try on one of my sites. Unfortunately, this new Update seems to break dynamic font size changing in the divi’s visual builder which is a big bug because adapting font size to screen sizes (phone, tablet, desktop) is a process that was made more difficult now. This is my biggest problem at the moment too. The dynamic font sizing makes the Visual Builder’s fonts HUGE on desktop … the phone size is fine. I have the previous version of Divi on another site we were developing a wireframe that wasn’t upgraded and the visual builder has no font issues. Improving the speed of the buider is one thing but I would like to see attention to making the Divi theme as fast a possible. There is work that could be done there. I am in the dashboard and in DIVI BUILDER plugins no update appears. I love Divi, no doubt about it, but there is one downside to Divi that I really think you should work on. Divi is perfect for almost every kind of WordPress site, but I really think the blog module needs some tinkering. Divi is so customizable and yet the blog module is so simple. I would love to have a lot more styling options when it comes to the blog. You can’t have a perfect site without a beautiful blog! I’d be happy if you could focus on solving it. for me the Visual Builder ist unusable…. For my clients I disable the Visual Editor…. I have checked WordPress an my theme is updated to DIVI 3.0.93 but my Builder is updated to 2.0.55. According to WordPress there are no further updates for DIVI so far. Nothing else to see in WordPress about a 3.0 version of the DIVI Builder. 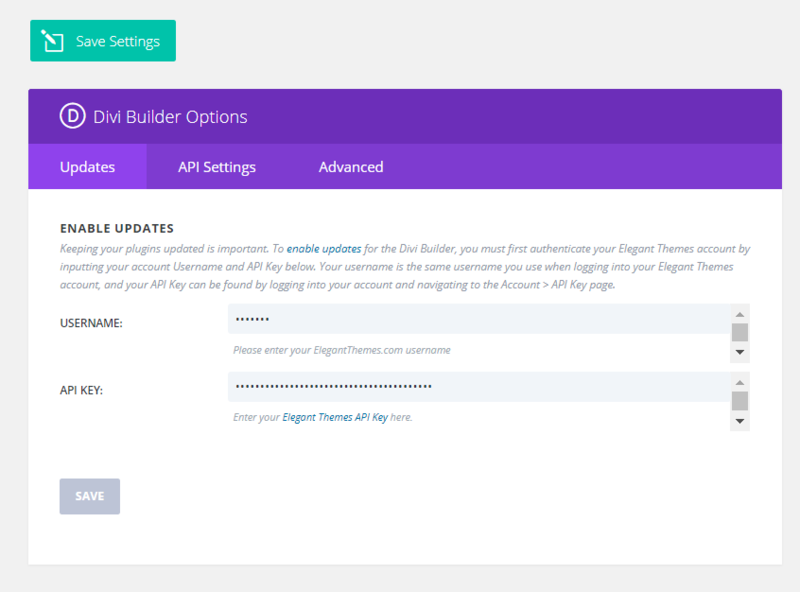 Do I have te latest DIVI Builder 3 or not and what should I do to get it?